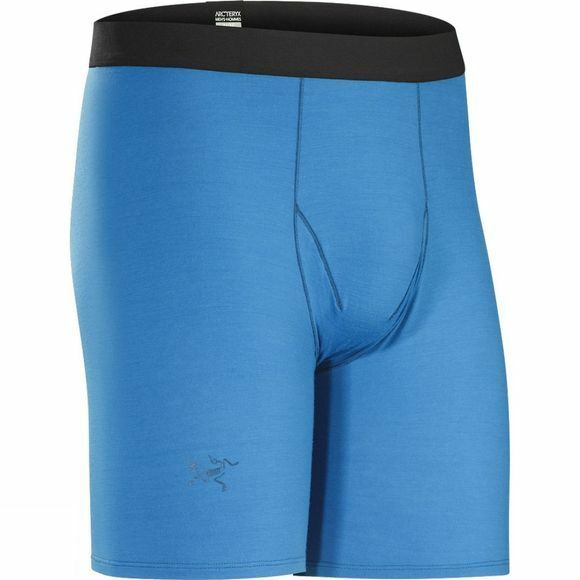 The Men's Satoro AR Boxers from Arc'teryx are a next-to-skin layer that offers excellent performance. Highly breathable and durable with excellent wicking properties, Arc'teryx have really taken advantage of material properties. The Core-Spun technology wraps Merino wool around a core of nylon to ensure you can benefit all the warming and comfort properties of Merino with the excellent durability of nylon while a little elastane helps to ensure an excellent fit for a more efficient performance.